There are 2 user accounts on my computer. User Account #1 is Administrator, User Account #2 is an normal account. Both Accounts use Firefox as Browser and almost the same add-ons. 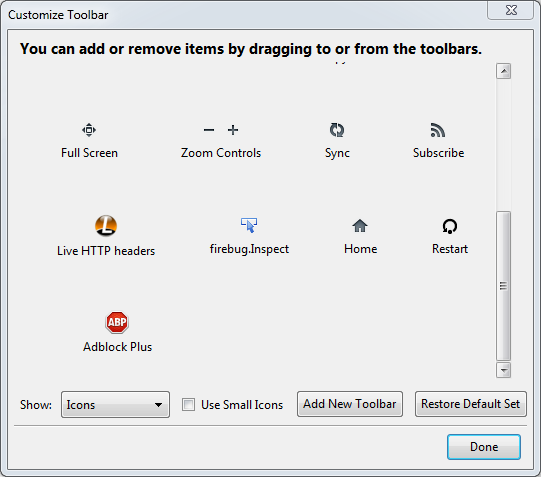 Lately I wanted to change the settings on User Account #2 for the add-on "adblock plus". More precisely: I wanted to deactivate Adblock plus for special websites (where I accept ads). This is usually possible with clicking on the adblock plus button next to the search bar (I marked it on the photo). But as you can see on the photo: User Account #2 doesn't have that button (or any other addons like the WOT-button) visible in the browser. I don't have access to it. P.S. : checking "Add-on-bar" via Firefox -> options doesn't let the adblock plus button appear on the bottom corner. In the resulting dialog, locate the button for the extension you're looking for. 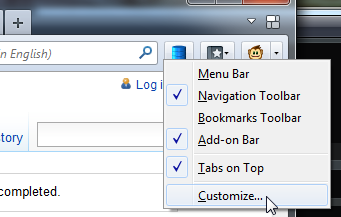 Now, by using drag & drop, drop the button at your desired location in the toolbar. Not the answer you're looking for? Browse other questions tagged firefox browser-addons firefox-extensions adblock or ask your own question. How to manage Firefox addons after installing? How to update Firefox Add-ons when using Firefox in a sandbox? How do I install browser extensions to Firefox, Chrome or Edge browsers in Windows 10 as a regular user?